Anita Hunt is a printmaker based in Massachusetts, USA. She grew up in Ohio and studied art at Antioch College in Yellow Springs, OH, and at the School of the Museum of Fine Arts, Boston, MA. She is a long standing practitioner of green printmaking and member of Zea Mays Printmaking in Northampton, MA, where she was an instructor from 2002 - 2012. Her copperplate etchings combine traditional techniques with safer materials and methods. She maintains a private studio in rural New England. Anita is a Past President of the Monotype Guild of New England and an elected member of the Society of American Graphic Artists, the Boston Printmakers and the Los Angeles Printmaking Society. Her images are featured in professional journals, textbooks and literary publications. She exhibits her work internationally. Her work is held in many private and public collections in the US and abroad. Permanent collections include: The New York Public Library, Smith College Museum of Art, Yale University Art Gallery, the Boston Public Library, Portland Museum of Art, University of the Arts, Philadelphia, Tama Art University Museum, Tokyo, Japan, DeCodova Sculpture Park and Museum, Hood Art Museum, Wheaton College Art Museum, Douro Museum, Portugal, San Alejandro Academy of Fine Arts, Havana, Cuba, Tsinghua University, China, Weisman Art Museum, Minneapolis, Bradbury Art Museum, Jonesboro, AR, Syracuse University Art Galleries, L'Association Mouvement d'Art Contemporain, Chamalieres, France, and others. 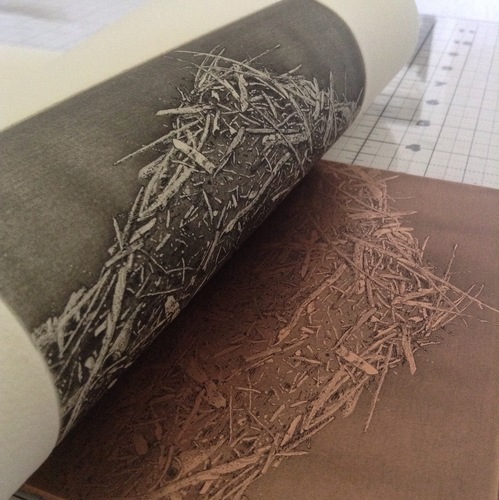 A selection of current work is available through the Zea Mays Printmaking Flat File Project.